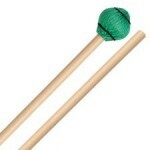 Vic Firth M7 Keyboard Mallets from the Vic Firth American Custom Keyboard Mallets Series feature a 1.125″ hard phenolic ball head. Intended for aggressive playing on bells and xylophone. Birch shaft for rigidity and consistency. 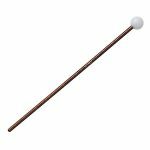 Length=16"
Vic Firth M14 Keyboard Mallets from the Vic Firth American Custom Keyboard Mallets Series are intended for xylophone. They feature a 1.125" soft poly ball on a birch shaft for rigidity and consistency. Length=16"
Vic Firth M5 Keyboard Mallets from the Vic Firth American Custom Keyboard Mallets Series feature a medium rubber head. Intended for practice on marimba‚ xylophone and vibraphone. Birch shaft for rigidity and consistency. 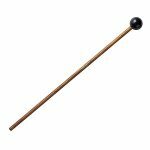 Length=16"
Vic Firth M6 Keyboard Mallets from the Vic Firth American Custom Keyboard Mallets Series feature a 1″ hard phenolic ball head. 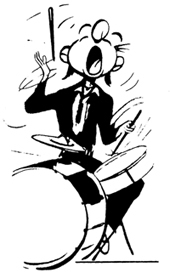 Intended for all-around playing on bells and xylophone. Birch shaft for rigidity and consistency. Length=16"